Charge up to 5 devices like phones, pads or tablets with this universal charger. Whether on your nightstand, kitchen counter or office desk, this unit is an attractive, functional addition. 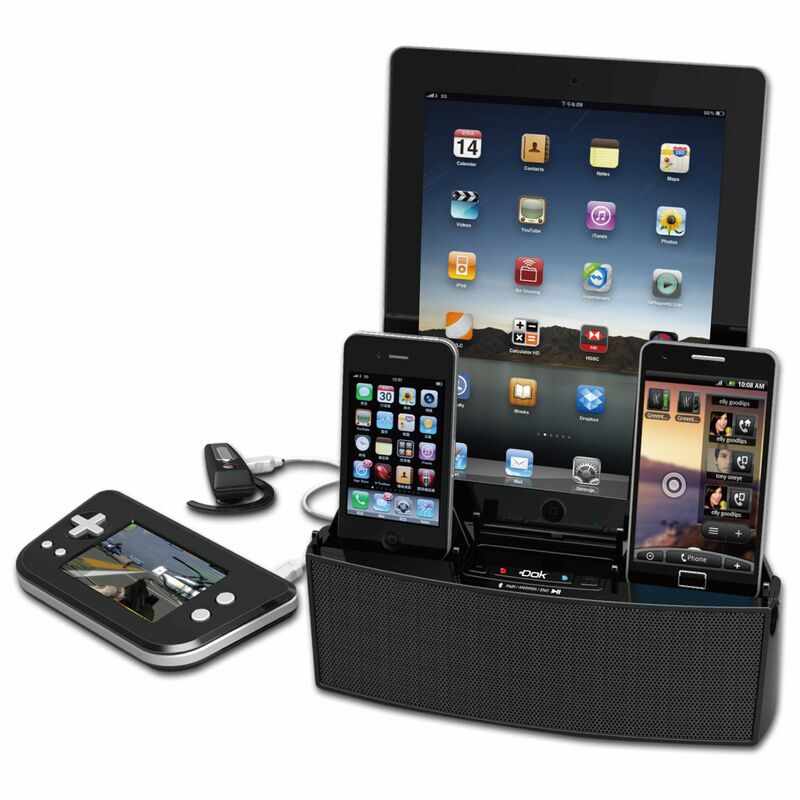 Rest your device in the cradle(s) and enjoy a hands free screen view. Added bonus is connect your device to this unit and enjoy your music on a larger, louder speaker. Better, if your device has Bluetooth, connect wirelessly.